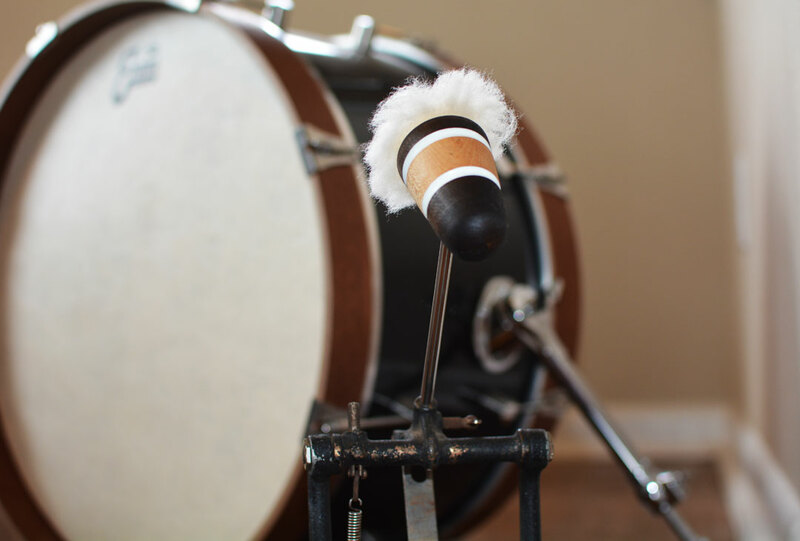 For decades, drum companies have tried to replicate the tone of vintage lambswool bass drum beaters – with mixed success. There’s a certain magic to these beaters that’s hard to replicate, but we wanted to give it a shot! In typical Low Boy fashion, we couldn’t just copy an old design. We wanted to take what made these classic beaters great and amplify it. The Puff Daddy is an incredibly expressive game changer in bass drum dynamics! Compared to a traditional Vintage Bomber, you can play WAY softer, then when you lay into the wood edge, it also gets WAY punchier! Insanity! To create something new, you have to understand the past. So, we acquired a nearly mint condition lambswool beater from the 1950s, and we played it. We played it a lot! We played it on bass drums big and small, with modern and vintage style heads, muffled and wide open. It sounded great. What made it sound so good? We found there were three elements that created this beater’s sought-after vintage tone: A wood core, lots of pillowy padding, and an incredibly soft, real lambswool outer layer. We also talked to drummers who love these old beaters and asked them what they’d want in an updated version. Then we got to work. The heart of this beater is the premium quality shearling lambswool. It’s soft, it’s lush, and it sounds amazing. Barely tap the pedal and you’ll hear just the wool strands engage with the drum head. It’s the quietest tone you’ve ever heard from your bass drum, almost like the gentle tap of wire brushes. Hit a little harder and get ready for the big boom, a tone tailor-made for jazz and mellow musical situations. This is the soft lambswool pulling every bit of warmth that your kick drum has to offer. Now really dig in. This is where the magic happens. 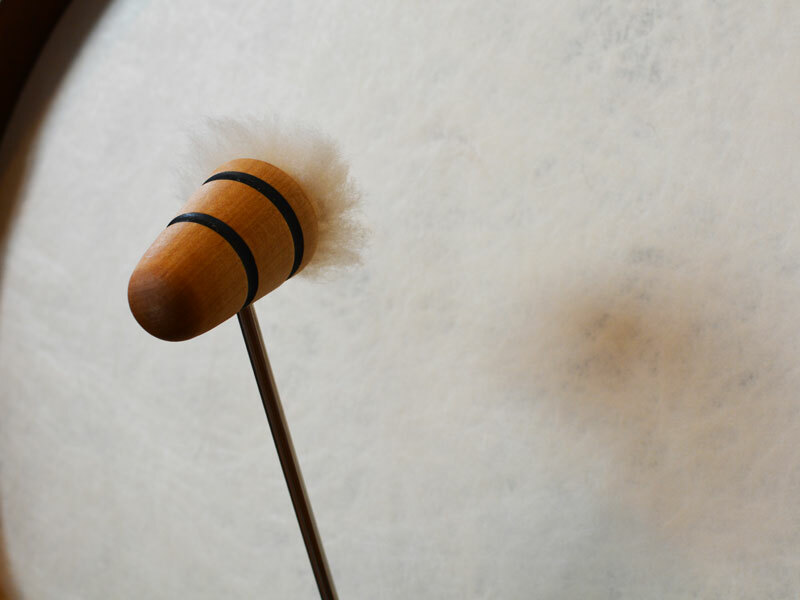 We’ve left ¼” of wood exposed around the edges of the striking surface, with the long wool strands acting as a buffer between the wood and the drum head. This provides you with some extra power and rich, full low-end tones, but without the punch you’d expect from wood. This hybrid design gives you all of the magic of a vintage lambswool beater, with increased dynamic range on both ends of the volume spectrum. It’s everything that’s great about vintage lambswool bass drum beaters, turned up to eleven. Ready to Warm Up Your Bass Tone? The fact is, when you need a delicate sound you have to use delicate materials, and durability is the trade off. At Low Boy, we don’t build disposable products, so we needed an innovative solution. 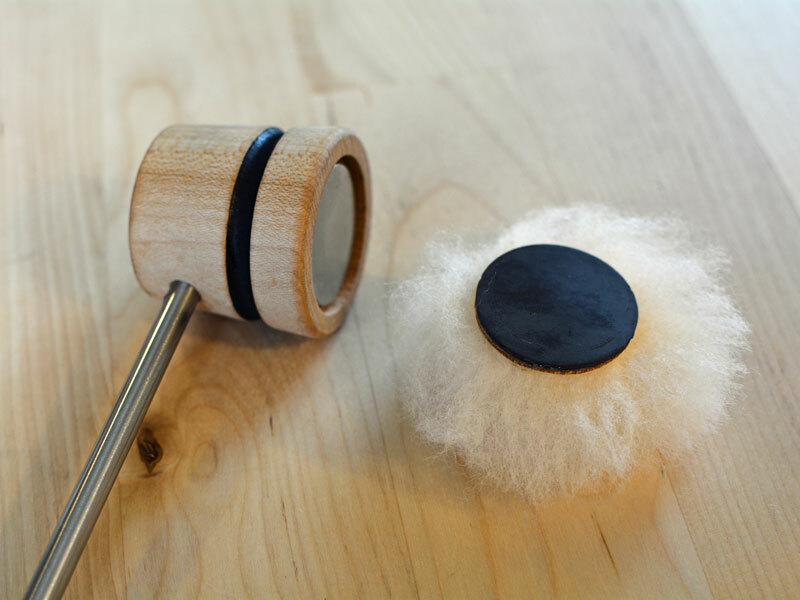 On these beaters, the lambswool “puff” is attached with a powerful magnet. When the puff wears out, simply pull it off and stick a new one on. There are ways to extend the life of your lambswool puff. Always use it on a smooth bass drum head or patch. Avoid coated heads and textured patches, as the rough surface will prematurely wear down the wool strands. 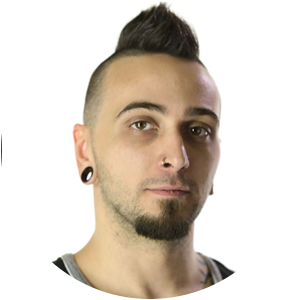 When it’s time to swap out your puff, we have replacements available.